In our nearly 20 years of existence, we at Sail & Sun Cruises have been offering our independant and expert advice in yacht charter, cruising and nautical events to an ever larger number of clients. We strive to be your ultimate partner in yacht charter, building, together with you, your ideal vacation. This goes through a very personalized approach, combining your input with our expertise and resources. We will focus on your wishes, taking in account your personal tastes, preferences, budgets and time requirements. We will then locate and present you the best of the available charter yachts. At the end we will finalize all the details that will make your vacation unique. 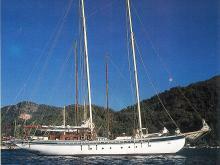 Our aim is to convince you to charter again at the next occasion. 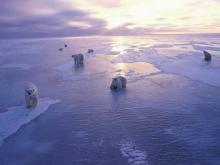 The Arctic region, around the Earth's North Pole, consists of a vast, ice-covered ocean. It is a unique area among Earth's ecosystems.